Located at the mouth of Val Trompia, Brescia, the Roman Brixia, iso ne of the most important archaeological sites in Northern Italy. Now visitor can see the impressive remains of the Forum, the Capitoline Temple, the Theatre, the Basilica as well as private houses with mosaics and frescoes (particularly impressive are the Domus del Ninfeo and the Domus dell'Ortaglia in the area of the Santa Giulia Monastery, now the City Museum). 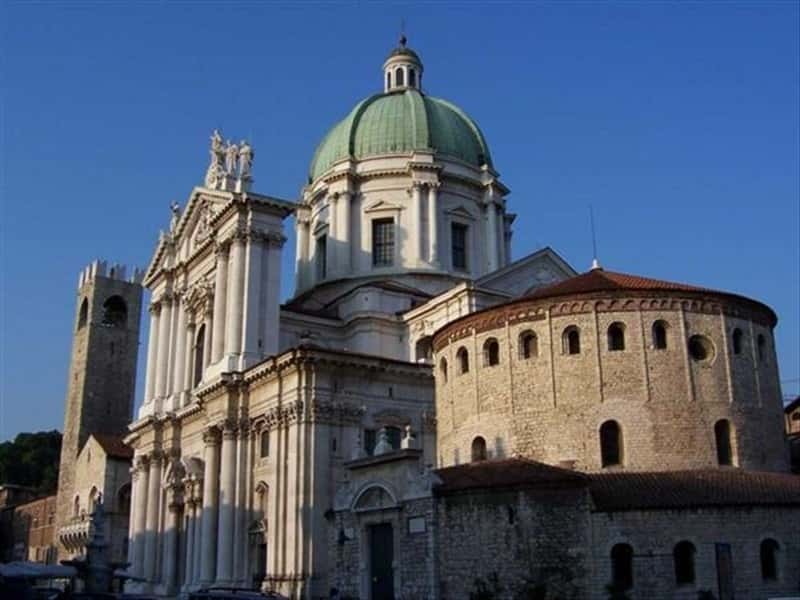 The Longobard Basilica of San Salvatore is a fantastic example of High Middle Age architecture. Now it houses the Museo della Città, which preserves many important artistic masterpieces, such as the golden cross of King Desiderius and the Vittoria Alata. According to the tradition, Ermengarda, King Desiderius's daughter, took shelter here after being repudiated by Charlemagne. In Piazza Paolo VI we can admire The Duomo Nuovo, the Duomo Vecchio (or Rotonda) and the Broletto, the ancient Town Hall with the Torre del Popolo. La Loggia Palace is the symbol of the city and the current Town Hall: some of the greatest architects of the time helped in its design including Sansovino and Palladio. This town web page has been visited 136,736 times.